Quite a bit of Esplanade-related activity is scheduled for consideration at Monday’s Pacifica City Council Meeting. Tip of the hat to Pacifica Riptide for drawing my attention to the Council Agenda with the post Gosh, Honey, You Bought Me a Crumbling Cliff?! You Shouldn’t Have! Aimco to Buy 330 Esplanade? PURSUANT TO GOVERNMENT CODE SECTION 54956.8 Conference with Real Property Negotiator. Discussion concerns price and terms of payment. Agency negotiator attending session: Stephen Rhodes. Negotiating parties: City of Pacifica and 330 Esplanade, LLC and Aimco Esplanade Avenue Apartments, LLC Property: APN 009-131-030. Judging by the title of the post on Pacifica Riptide (Gosh, Honey, You Bought Me a Crumbling Cliff?! You Shouldn’t Have!) they seem concerned that Pacifica is planing to buy 330 Esplanade. This seems absurdly unlikely to me given the difficult financial situation in Pacifica. Instead, my inference is that Pacifica is in some way facilitating a deal between Aimco and the current owner of 330 Esplanade. Notwithstanding any other provision of this chapter, a legislative body of a local agency may hold a closed session with its negotiator prior to the purchase, sale, exchange, or lease of real property by or for the local agency to grant authority to its negotiator regarding the price and terms of payment for the purchase, sale, exchange, or lease. However, prior to the closed session, the legislative body of the local agency shall hold an open and public session in which it identifies its negotiators, the real property or real properties which the negotiations may concern, and the person or persons with whom its negotiators may negotiate. For purposes of this section, negotiators may be members of the legislative body of the local agency. For purposes of this section, “lease” includes renewal or renegotiation of a lease. Nothing in this section shall preclude a local agency from holding a closed session for discussions regarding eminent domain proceedings pursuant to Section 54956.9. It does seem to apply to “purchase, sale, exchange, or lease of real property by or for the local agency.” Maybe I’m wrong and Pacifica really does want to own a near-ruined building?! We have wondered where the money to finish the rehabilitation of 330 Esplanade’s property would come from. From the Aimco website: Aimco is a real estate investment trust headquartered in Denver, Colorado that owns and operates a geographically diversified portfolio of apartment communities. 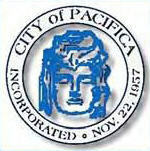 Aimco owns 5 or more properties with 25 miles of Pacifica, and 3 in Pacifica proper (see map). This is the first time that a threat to City property has recognized by an emergency proclamation. We have long heard that City finances will start to flow if or when municipal assets are at risk, so we’re curious to see how this new chapter of the story develops. 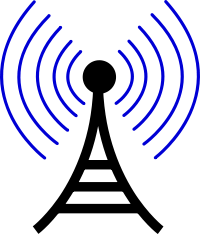 In a follow-up to a resolution passed in the February City Council meeting (Weekend Update – February 22, 2010), an ordinance making Dollaradio an official Historic Landmark has been introduced. Based on discussion at the February meeting, it appears the Historic Landmark designation will be granted in order to make it possible or easier for Joan Levin, the owner of Dollaradio, to find other sources of funding for the work to save her property. Note that the work that has been done was considered temporary, granting only about another year of life to one or more of the buildings, and additional work is necessary for a more permanent fix.